You could first hear Los Angeles singer-songwriter Lily Kershaw’s catchy single “As It Seems” on the CBS hit show Criminal Minds, and that’s perfectly fitting. Arrestingly visual and heart-on-the-sleeve honest, Kershaw’s more accessible songs seem perfect for a TV soundtrack, and “As It Seems” would’ve worked even better on a heartwarming family show or teen drama. 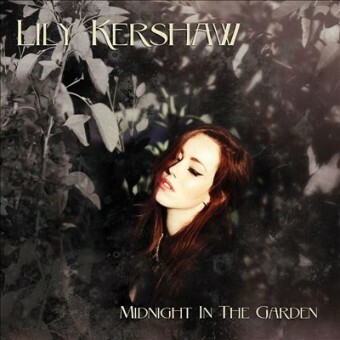 In some ways, Lily Kershaw sounds like Paula Cole for the post-hipster world. What that means is that her songs are deeply rooted in Joni Mitchell-esque emotive folk, but there’s an obvious mainstream pop vibe to them. John Fields’ crystal-clear production makes Kershaw’s picturesque storytelling stand out, and she sings with a tiny bit of a country-ish twang. Other signs of Americana are present, too: a playful banjo on “Bathed In Blue” or the occasional slide guitar. Like in a perfect crossover, these elements don’t take over the mix or sound too “alternative” though; they’re simply quirky, personal ornaments to her vocal-centered, universally appealing narrative.